It was obvious from his impressive debut at a very wet Buxton meeting on May 21st 2006 that Dan was going to set the stockcar scene alight. 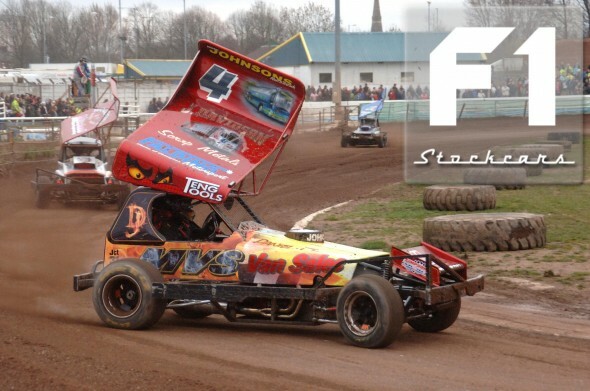 Starting from the back, he qualified for the final in his first ever F1 race using his Dad’s shale car. Dan actually outpaced some of the more seasoned stockcar drivers on the track.All of Daniel’s cars have been Peter Falding built. When he was just sixteen years of age, Dan was driving a tractor up to Peter Falding’s workshop at night to assist with the stockcars. In 2007 Dan got his first taste of a title by winning the UK Open at Skegness. Dan then won the prestigious European title in 2008 but suffered terrible luck with regards to the World Final. His semi final was again at Skegness and even though he managed to drive onto the track his car ‘died’ before the race could commence. Despite the valiant efforts of the team and several other drivers Dan had to withdraw from the grid and missed his opportunity to be in the World Final. Since then, Dan successfully qualified for the Kings Lynn 2009 World Final, coming home in 13th place. In 2010 Dan secured himself a fourth row slot and found himself caught up in a huge push, rolling before managing to sort his car for the complete restart, finishing 6th overall. 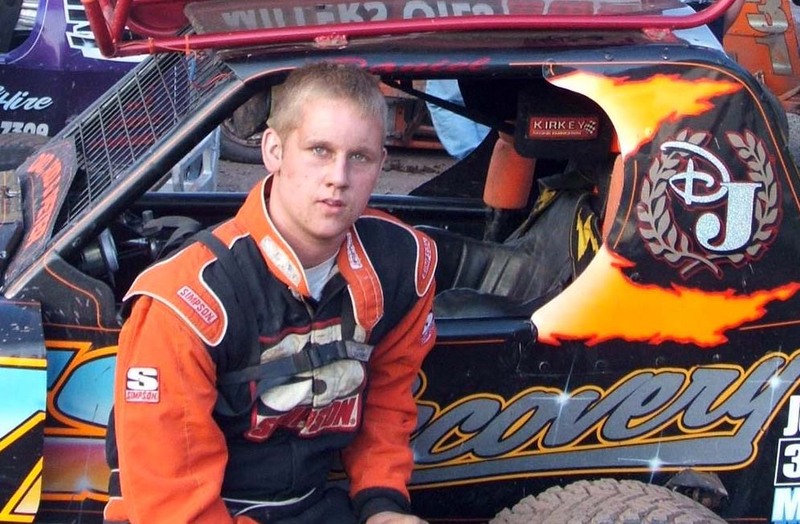 Dan then went onto win his third Coventry final of the year, the same night in the Harry Smith memorial final. In 2011 Dan Johnson was in the thick of the action, momentarily leading the World Final but having to settle for second place, his highest finish to date (Race Report HERE). In the National Points Shootout Finale, Dan was also in the thick of the action being in the hunt right up until the last race of the event where he put Frankie Wainman jnr 515 in the fence but had to be content with a fine third place.